Are free standing patio heaters easy to assemble? Free standing patio heaters are very simple to assemble, and in fact, some may require no assembly at all! 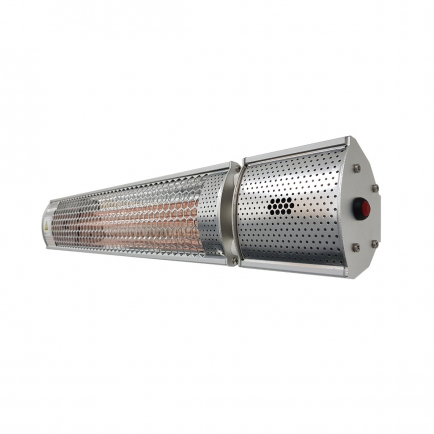 These heaters are designed with an emphasis on portability, and may only require attaching to another component before they’re ready to be used. Then it’s just a matter of plugging them in and enjoying their convenient heat. Some of our electric heaters, such as our Burda range, are designed to be compatible with a free standing tripod for easy movement. As the tripod is available separately, the heater will need to be mounted to the tripod before it can become free standing; however this is an easy task that doesn’t require any kind of specialist DIY knowledge. Full directions for use will be supplied with purchase. How do electric patio heaters compare to gas patio heaters? Electric and gas patio heaters are both excellent outdoor heating solutions, although they cater for very different needs. Electric patio heaters are best for those who need a permanent, fixed heating solution for their home’s outdoor space and want instant warmth at the flick of a switch. Electric heaters are incredibly efficient in their conversion of energy into effective warmth, which means that, while they’re in use, very little energy is wasted. Most electric heaters are unfortunately not suitable for DIY installation and will require the services of a professional to be mounted, but once they’re fitted, they offer a user-friendly system that produces instant effects. In contrast, gas tends to suit those who don’t want to fit a permanent outdoor heating system or anyone looking for a more portable solution. Gas heaters are often cheaper than electric outdoor heaters but the downside is that they require regular maintenance and refuelling, which can be an onerous task for the owner. They’re also more expensive to run. However, they can be quick and easy to install if you’re confident in the task. Our Mensa Heating Imus electric outdoor heaters are lightweight freestanding units that are easy to pick up and place. If you want a wall mounted electric heater to act as a portable unit, you should look to our Burda products, all of which are compatible with a separate mounting tripod for a free standing fitting. Can free standing patio heaters be used outside? Free standing patio heaters offer a very versatile heating solution, with the freedom to pick up and place your heater wherever you want. However, it’s important to bear in mind what IP rating your product has before you use it outside. The IP rating system is a standardised classification index designed to indicate the level of protection a product offers against solids and liquids. An IP rating is formed of two digits, the first showing the level of protection against solid objects and the second digit against water; so, a product with an IP20 rating will only have basic protection against solids and no protection against water. Despite this fact, you can still use a heater with this rating outside but you will have to ensure that you take it indoors again if it starts to rain. A free standing patio heater with a higher IP rating – such as one of our Burda heaters paired with an optional tripod – will be able to cope with exposure to rain. Still, you should keep in mind that it’s best practise to move any freestanding electrical appliance indoors when the weather takes a turn for the worse as they may be blown over by strong gusts of wind. You should also take all the necessary precautions to move your heater indoors if you’re using an extension cable as these can pose a significant risk if left outside. Freestanding outdoor heaters offer an adaptable outdoor heating solution that offers more flexibility than wall mounted options and also circumvents the associated installation costs. A freestanding outdoor heater can simply be moved to wherever the heat is required, ensuring you can still enjoy the outside air on cooler evenings. 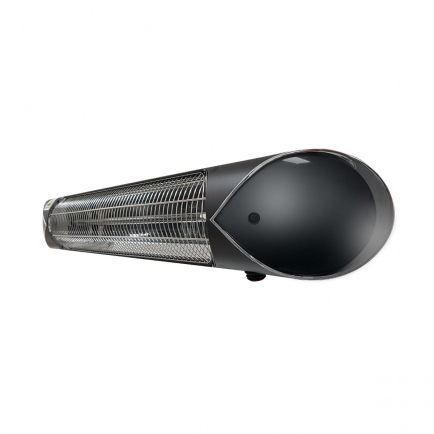 Our range of infrared freestanding heaters are perfect for outdoor gardens, patios and terraces. The infrared waves emitted from the heater travel directly to people and surfaces, unimpeded by wind and breezes. Almost 100% of their energy is converted into a pleasant warmth, much like standing in the sun on a warm day.